Police are concerned for a missing Crawley man who requires daily medication. Ian Duncan, 68, was last seen in Langley Green on Sunday (March 17). Police say he has been in contact, but is refusing to say where he is and there are concerns for his health and welfare. His lack of medication since the weekend may lead him to behave unusually, police said. 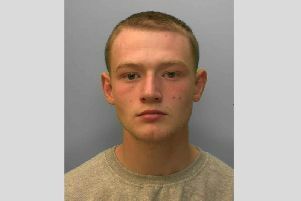 He has been known to frequent the Eastbourne area and has family connections in Chislehurst, Kent. Ian is white, 5' 5", of slim build, wears glasses and sometimes walks with a limp. We was dressed all in black and was wearing a black baseball cap. If you know of his whereabouts or you see him, please report online or call 101 quoting serial 1218 of 17/03.